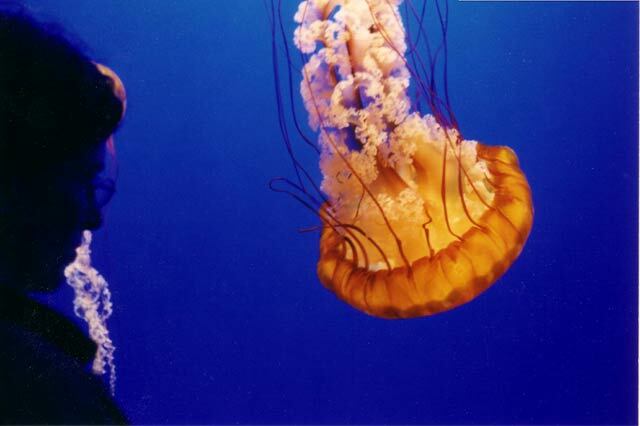 Big Monterey Jelly: Taken Jan 12, 2004 at Monterey Bay Aquarium, so I'm cheating a bit today. But because today was a lite photography day, I couldn't resist posting this picture from my archives. The viewer of the jelly was completely unaware of my camera, as she was entranced by the creature.